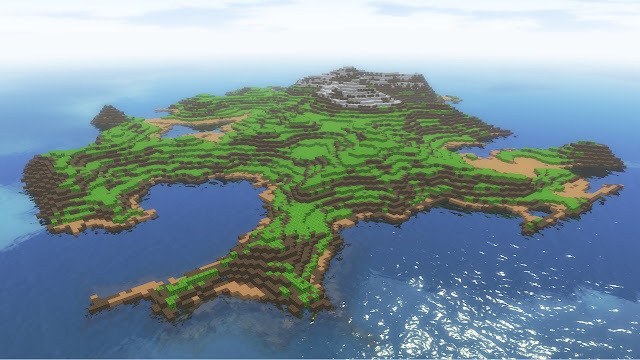 Here's a shot of another island in Block World. Here is a little video to show the current state of my "Block World". 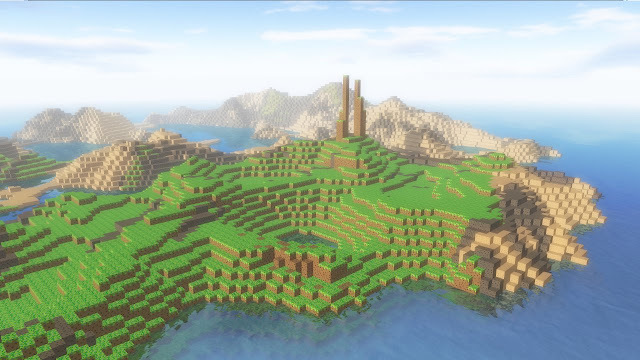 Inspired by Minecraft (which I find interesting, but have no real desire to "play") and 3D Dot Game Heroes (which I ordered today), I spent the day messing around with this. I'm not yet sure if I will do anything with it, but I think it looks cool. Here is a short video showing the current state of my bike game. 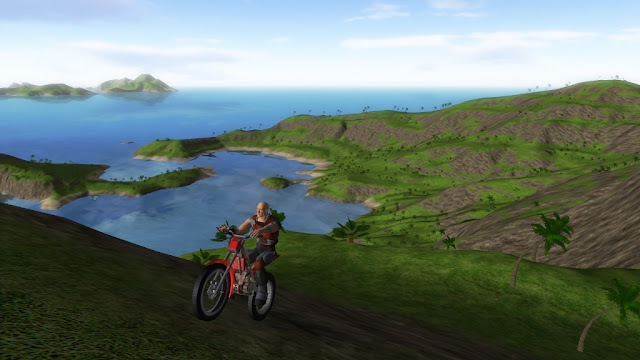 The physics is not quite where I want it yet, I need a real motorbike engine sound, and I need a more interesting track (currently I'm using the track path I showed in my previous post with some "humps" added in along the route to make things a bit more interesting). Progress is being made, though. I wouldn't have much of a bike game without a track, so that's what I've been working on today. The red points are editable control points and I interpolate the other points using Catmull-Rom Splines. The track is just X-Y coordinates, with the Z value obtained from the height of the terrain. I had been working on some sort of flight mechanic as the gameplay for my next project. Then, I had a thought - what about bikes?